The haunt for a good shampoo that can enable my hair to stand the heat and humidity of summer is always on . 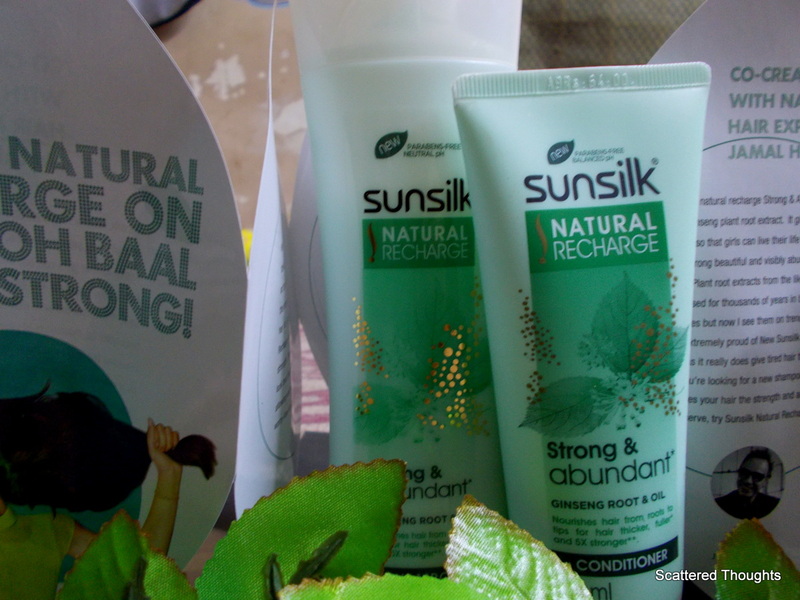 The All New Sunsilk Natural Recharge Shampoo and Conditioner has finally been able to satisfy me . 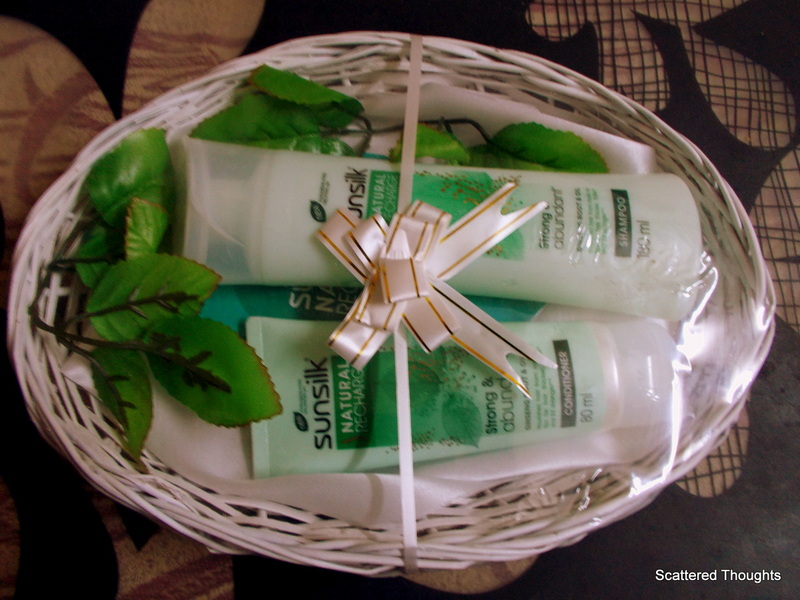 Indiblogger in association with Sunsilk ( Hindustan Unilever Limited ) had conducted a survey program and on applying I have received both the products wrapped in a nice tray and decorated with green artificial Ginseng leaves . 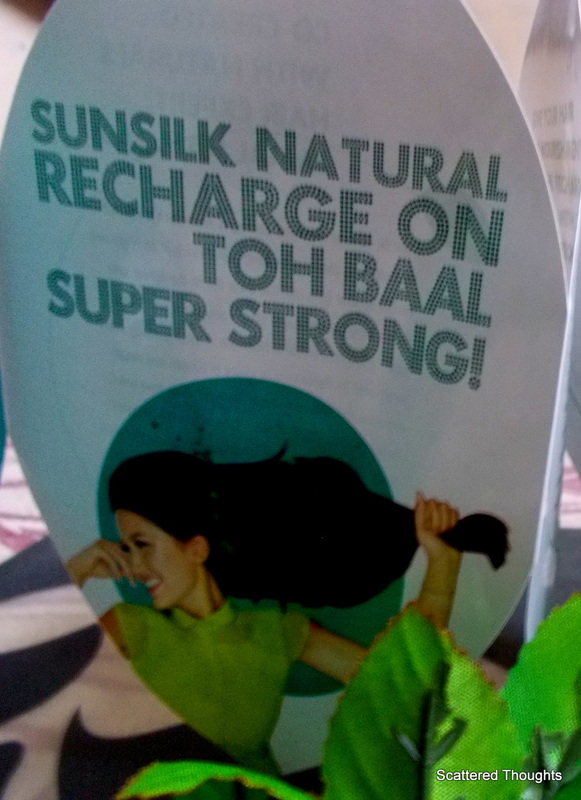 The Sunsilk Natural Recharge Shampoo ( Strong and Abundant ) has been co-created with Naturals Hair Expert Jamal Hammadi . Among the other ingredients they have used the roots and oil of Ginseng plant , an age old perennial plant which has its long history of being used for cosmetic and clinical purposes. The Shampoo claims to to make hair look two times thicker and five times stronger . Readers please concentrate on the word ” Look ” for it clearly states that the hair will by no means actually grow thicker but would look so . Of course it’s also not logical to expect miracle from a shampoo. It actually ‘recharges ‘ your tired looking hair providing that shine and bounce and a somewhat healthy look . The shampoo , like other shampoos from Sunsilk , has a sweet and lingering fragrance . 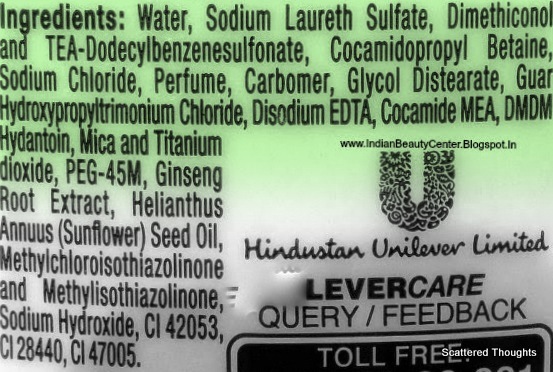 Lather is created abundantly as it contains SLS . A small quantity is sufficient for a shoulder-length hair ( like mine ) . Keeps the hair absolutely tangle free when used along with conditioner . Good for those who have a problem with frizzy hair . It also cleanses the hair effectively making it soft , smooth and shiny . Feels really good on touching and this effect lasts for about 48/ 72 hours . I’ve to travel a lot and the heat and pollution take a high toll on my hair. The softness provided by this shampoo really works . The shampoo comes in a nice flip-open bottle and the conditioner in a tube . The price is quite affordable . As it comes in a 80 ml bottle also , it is affordable to all. Effect lasts for 48/72 hours. I love this shampoo. My sister-in-law is sticking to it after I got it from Indi.